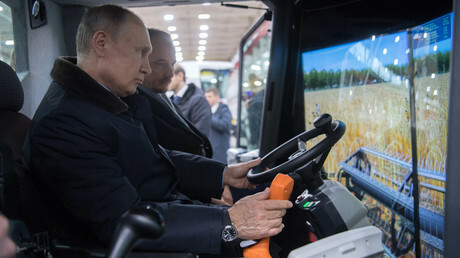 In the first televised debates of this year’s presidential campaign, all candidates present agreed that Russian military forces must be strong. However, they differed on how the nation should achieve this goal. Incumbent President Vladimir Putin did not participate in Tuesday’s event, not even sending a representative. Grigory Yavlinsky of the liberal Yabloko party and Business Ombudsman Boris Titov, backed by the Party of Progress, sent proxies. 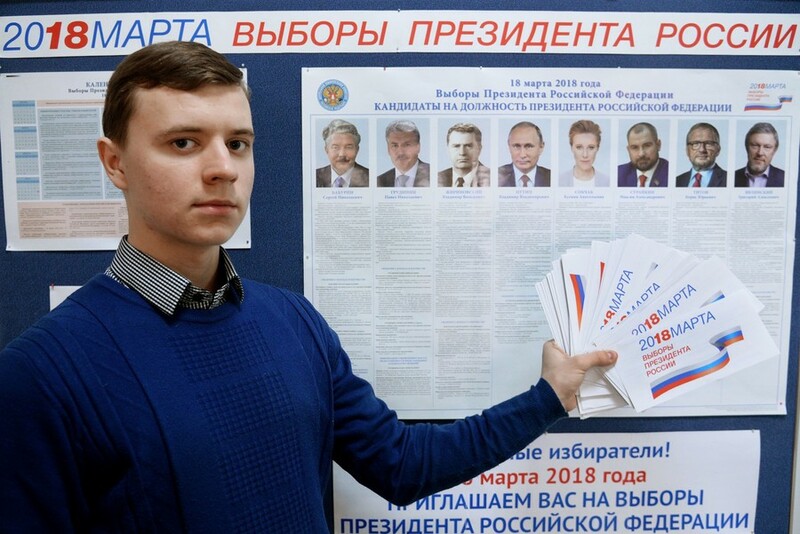 The remainder appeared in person – Pavel Grudinin of the Communist Party of the Russian Federation (KPRF), Maksim Suraikin of the Communists of Russia party, Sergey Baburin of the nationalist All-Russian People’s Union, Vladimir Zhirinovsky of the Liberal Democratic Party of Russia (LDPR), and Ksenia Sobchak. The latter is running on the ticket of the pro-business party Social Platform, but is positioning herself as an option for those who want to vote against all of the candidates. The debates were held in a group format, though candidates did not actually engage in verbal duels. They managed to express their positions over the current state of the Russian military and the plans for reforms in the defense sector. The nationalists and leftists, predictably, attempted to play on the audience’s nostalgia. Baburin stated that he missed the times when “crowds of young girls surrounded military schools driven by the dream of marrying a military officer.” He also listed the main threats that Russia faces as being NATO’s attempts to set up a global hegemony and the general desire of Western nations to “destroy the Russian spirit.” He proposed countering them through joint effort in national defense. Suraikin, whose rise to fame has been based on provocative statements in the spirit of Soviet propaganda, was true to his style. He stated that Russia can have strong armed forces only if it returns to socialism and praised Joseph Stalin for creating “a global system that guaranteed security for all.” He went on to say that Russia needed to restore its global network of military bases and speculated that the current situation in the Middle East has been deliberately constructed by Russia’s enemies in order to bring down oil prices. Grudinin from the KPRF (Russia’s largest opposition party) was much more reserved in his judgement. He urged technical modernization of the military and a major effort to improve servicemen’s living conditions and increase their salaries. He noted, however, that in his view Russian authorities could no longer effectively control the borders and proposed an increase in strength for the military forces, with possible cuts to the police and National Guard. But if Grudinin lacked flamboyancy in his presentation, this was compensated by Vladimir Zhirinovsky – an experienced populist dwelling on nationalist sentiments and the leader of one of Russia’s oldest political parties – the LDPR. Sobchak said she would only debate the incumbent president. Nevertheless, she began to list the questions she wanted to ask the absent Putin. These were based on various unproven theories circulated by mass media, such as the demand for explanation over Russian military servicemen’s alleged deaths in the Ukrainian conflict, and the alleged activities of Russian military contractors in Syria. Sobchak also insisted on the transition from conscription to a fully-professional army and criticized Russian Defense Minister Sergey Shoigu, albeit not over the forces’ actual performance, but rather for blunders by his PR department. Titov’s representative began by advocating a strong military, saying it helps prevent wars and adding that Russia has not been subject to a direct military attack only because its enemies knew about the dangers of doing so. 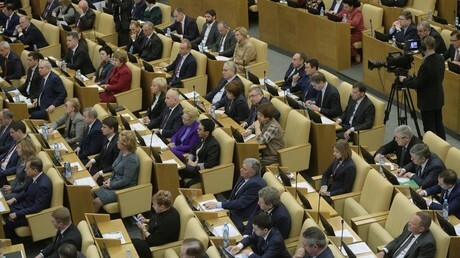 He praised the current defense minister for the major improvements in the military forces and declined to speak about any particular proposals by candidate Titov or the Party of Progress, noting that all answers could be found in the elections program. Yavlinsky’s representative repeated the points that Yabloko has been defending since its foundation in the 1990s – he urged the transition to a fully-professional army, and criticized the existing military commanders and weapons producers for allegedly excessive advertising of every success. He also warned about the threat of Islamic extremism in Central Asia and hinted at the possible threat of Chinese expansion, but did not make any proposals on how to counter them. The Russian presidential elections are scheduled for March 18. The latest public opinion polls have shown that Putin enjoys the largest support among voters and will most likely win in the first round.